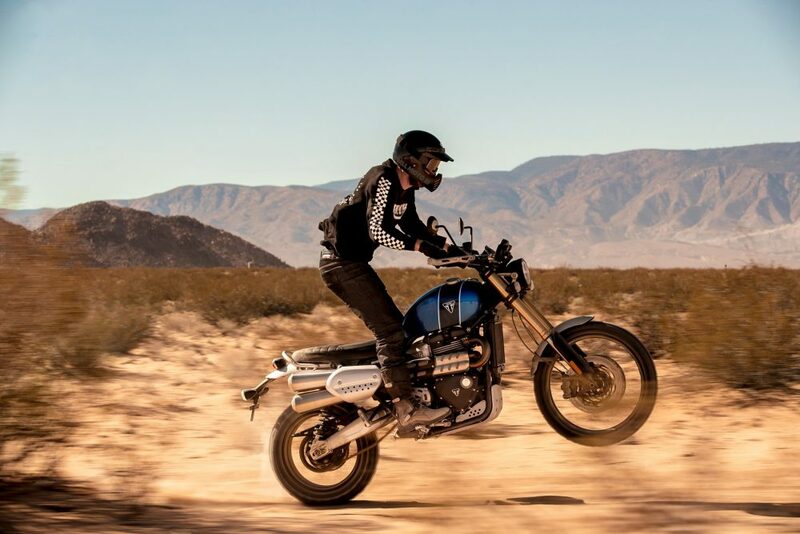 2019 Triumph Scrambler 1200 gets a re-tuned 1200cc engine and more rigid suspension to perform off-roading tasks. 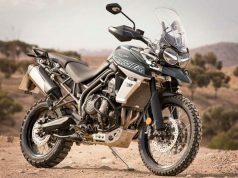 India-bound 2019 Triumph Scrambler 1200 has been unveiled at an event in London and this adventure bike is ready to hit our country market in early next year. The 2019 Triumph Scrambler not only comes with an aggressive stance, but gets a re-tuned 1200cc engine and a more rigid suspension that helps the bike to perform off-roading tasks thrown at it. Available in two different variants XC and XE, the latter one is the top one and it comes with more suspension travel ensuring greater comfort and rigidity. Also this one gets more advanced electronics onboard. 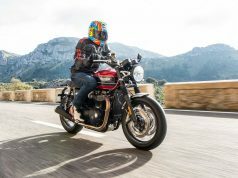 Expect both the variants of the 2019 Triumph Scrambler 1200 to be showcased at the EICMA in Milan next month. Speaking about the engine, the 2019 Triumph Scrambler 1200 gets the brand’s tried and tested 1,200cc parallel-twin engine sourced from Thruxton R. It churns out 89 bhpp of power at 7,400 rpm and 110 Nm of torque at 3,950 rpm. 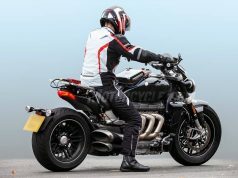 Both the variants will come with fully adjustable dual-spring Ohlins rear suspension, while front get fully adjustable USD forks from Showa. The 21-inch front wheel and 17-inch rear wheels get dual-purpose tyres from Metzeler. 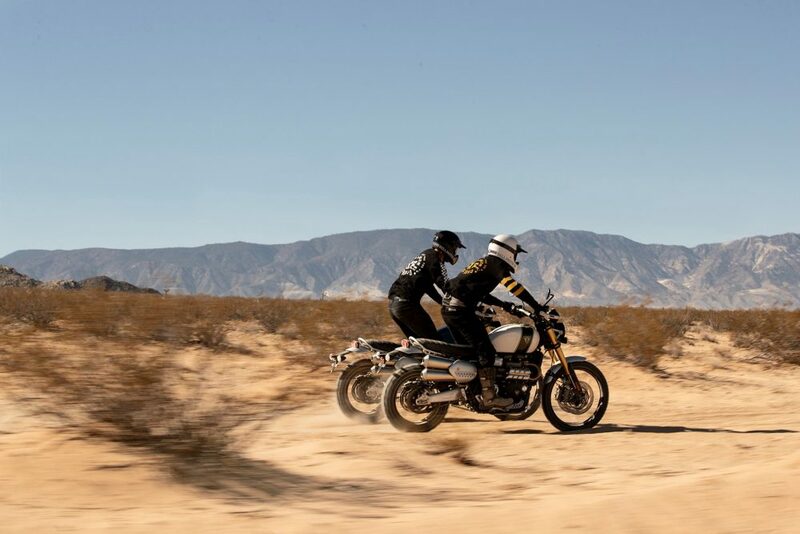 Braking duty in the 2019 Triumph Scrambler 1200 is done by dual 320mm front disc brakes and a single 255 mm disc brake at rear combined with ABS. Among the technologies and features, the bike gets TFT display at instrument cluster, all-LED headlamps with LED DRL, cruise control, premium seats etc. 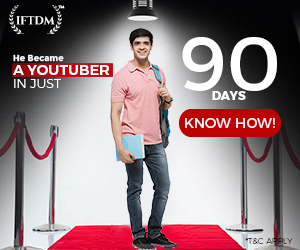 Next articleYamaha NMax 155 premium scooter India launch in 2019?